YRF's 'Sultan' is by far unarguably the most highly anticipated movie of 2016 and has a lot going for it. Prior to its release, the Salman Khan starrer has hit a record milestone. As per reports, 'Sultan' has topped over 100 million views across all its promotional video assets on YRF's YouTube network. The movie's campaign kick-started with the release of teaser units introducing Salman Khan and Anushka Sharma which now have amassed over 26 million views. If we’re going by trailer success, 'Sultan' once again pulls ahead of the pack as it has become the most-liked trailer on YouTube with over 22 million views. All the four video songs (Baby Ko Bass, Jag Ghoomeya, 440 Volt, Title Track) released so far, have featured in YouTube trends and have clocked over a million views each in no time. In a first, Salman Khan has also recorded and released an audio version of all the four tracks in his voice. 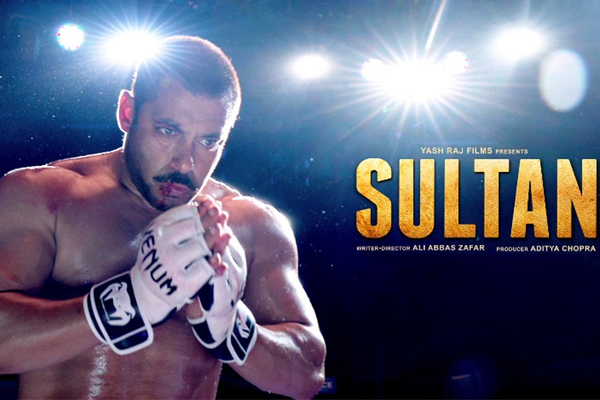 Produced by Aditya Chopra and written-directed by Ali Abbas Zafar, 'Sultan' will release on July 6, 2016. Aamir Khan gets on magazine cover after 3 years! Yes.. you heard that right! After several years, our B-Town's Mr.Perfectionist Aamir Khan has said Yest to shoot for a magazine cover. Aamir is one of the few Bollywood actor's to be on the cover of the prestigious TIME Magazine in the year 2013. And it is now, after nearly 3 years that Aamir has shot for a magazine cover. It is said that he is to be on the cover of a renowned magazine for their July issue. We were told that Aamir's looks would be a closely guarded secret by his film makers making it difficult for the actor to reveal film looks on magazine cover. While the actor has been the cover boy of popular magazines every year, this cover is special as it had Aamir posing for the camera.